If you like horsey books, or even if you don’t, this short book has a lot to offer. Ali is a well-behaved thirteen-year-old who lost her beloved horse in an accident and whose brother, Danny, comes home from Afghanistan minus one leg. Meanwhile, she is keeping an eye on a possibly senile neighbor whose two horses are obviously neglected. When her friend, Cara, talks her into sneaking out to check on the horses, they discover the horses are in very bad shape. The girls report the neglect anonymously, but Ali’s parents still figure out she sneaked out. So Ali ends up with the responsibility of nursing the horses back to health. 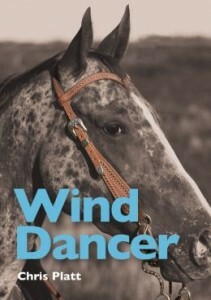 The author includes a lot of information about the problems sick horses face. Danny and the sicker horse form a special bond, helping them both. The author does a great job of showing the effects of post-traumatic stress disorder from a young family member’s perspective. Ali knows her brother is not the same as when he went to war, but she’s not able to put a name to it right away. The reader will also see all the difficulties in trying to help abused and neglected animals. Where do you draw the line between being a good neighbor and interfering? Third graders who are just learning of some of the problems in the world will love to read about how Ali works out all her problems. The fascinating story will provide a lot of reinforcement for literacy skills.